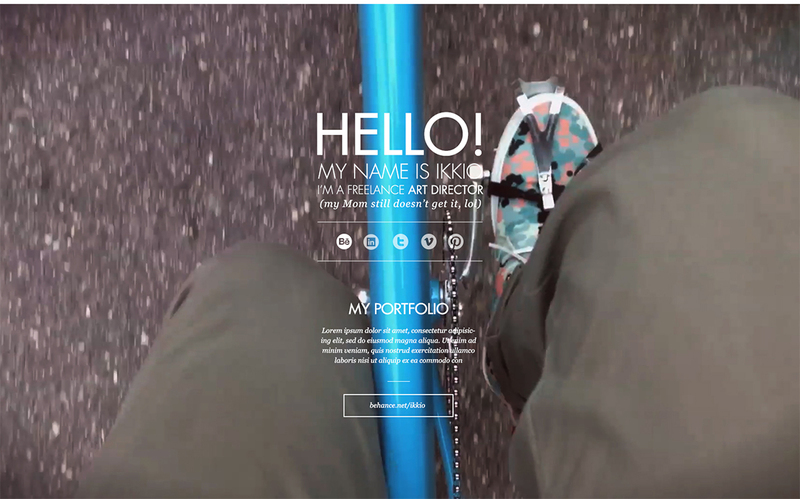 Very cool personal site concept with an aerial view video of him riding a bicycle. I wanted to make a page that just include all the elements that an art director freelance has to show and share! I've made a web version with a video as background. This video has symbolic meanings and if a user check my page via mobile device it will show a standard picture background. In the future I will add the twitter feed.